Gales have hit Cornwall in recent days and created some big seas. 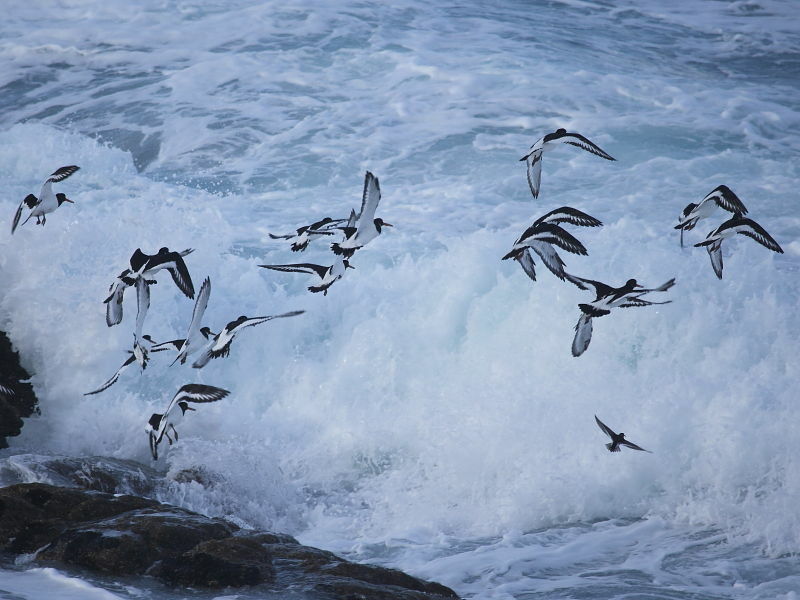 At Sennen these Oystercatchers were continually being disturbed by breaking swells hitting their normally safe high tide resting place. In calmer weather the beach in Sennen Cove is best known for its sandy beach, crystal clear waters and surfing. But it can also be an excellent place to see Dolphin and basking Shark which sometimes come close to the beach. 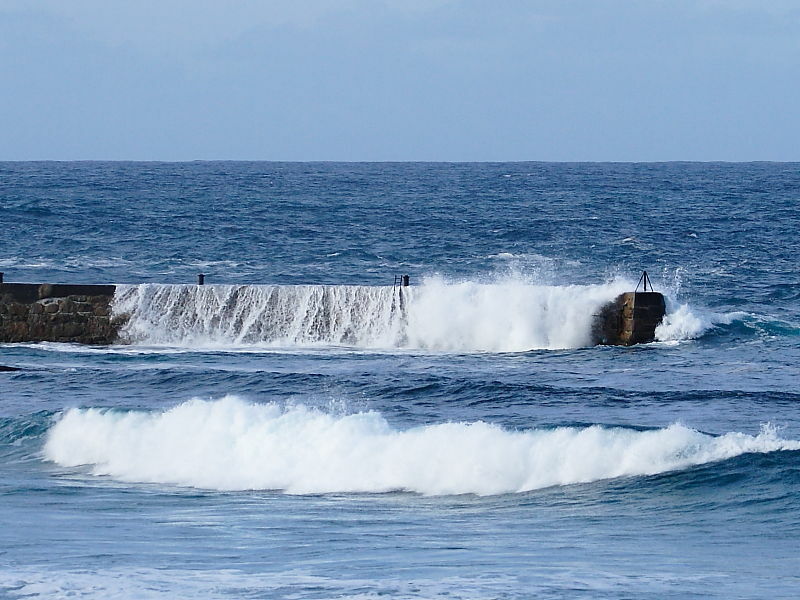 The water was breaking over the harbour walls and a big surf was hitting the beach. In normal weather Sennen breakwater is a safe place to fish from and watch birds. Only a few weeks earlier I’d stood in a T shirt at the end of the harbour wall taking pictures of seals in a flat calm crystal clear sea! The waters around Sennen’s little harbour regularly attract seals.